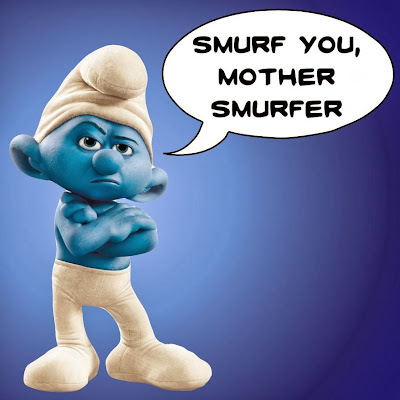 Many members of the production team have walked off the set vowing never to return unless the Smurfs moderate their language and stop being crude and offensive. According to script supervisor, Elizabeth Tremblay, the Smurfs behavior on set is worse than that of Christian Bale. Tremblay has kept a list of all the offensive things she has heard, and after a lot of begging she has shared it with us. 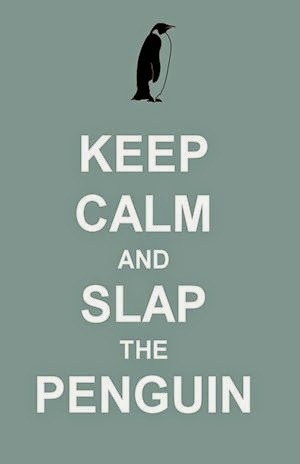 It's not just Grouchy Smurf who has been upsetting people. Papa Smurf, Brainy Smurf, and Gutsy Smurf have all been seen and heard being disgusting around the Columbia Pictures back lot. The worst offender of all of the little blue people is Smurfette. 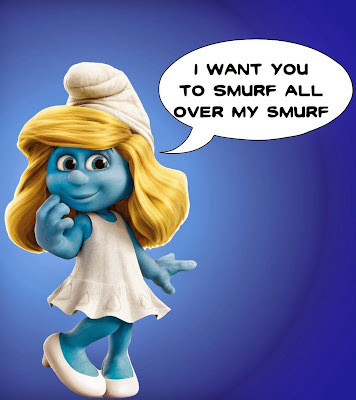 Smurfette (real name Skitne Munnen) puts all the male smurfs to shame with her foul and suggestive language. She was almost kicked off the set of Smurfs 2 for sexually harassing many of the cast and crew, especially Neil Patrick Harris. Now the actions of Smurfette and her little blue friends are jeopardizing the completion of the 3rd Smurf movie, which may not be a bad thing considering how awful the second movie was. What's the worst thing you have ever heard a smurf say? 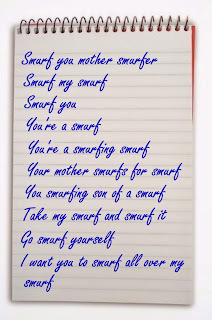 What's the worst thing you have ever done with a smurf? Share if you dare.